The new Micromax Q6 is new launched Dual SIM GSM mobile phone from Micromax mobiles. Micromax Q6 is featuring slide-out full QWERTY keypad. 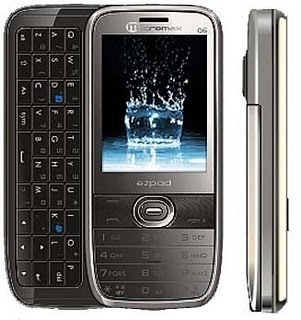 Micromax Q6 is Micromax ezpad series mobile phone which features easy to type QWERTY keyboard. Micromax Q6 also features social networking website’s quick launch widgets and Instant Messengers (IM) like Yahoo!, Google Chat, etc. Micromax Q6 Price in India : The new Micromax Q6 mobile phone is available at price of Rs.4,200 in India .